I’ve become quite the connoisseur of the junk food machine at work … it really must stop. I’ve tried to be “good” and just get the skinny little Lindt bars, but they’re gone in a heartbeat and my sweet craving remains. Kit-Kats are far more satisfyingly with all that biscuity goodness inside them. So, since I’m still feeling poorly – I’m exhausted, my eyeballs hurt and I coughed up half a lung in the night – I’ve decided to go the no-brainer route and blog some cool Kit Kat recipes I’ve found during some eye-candy surfing. On with the Kit-Kat goodness … or should that be evilness? 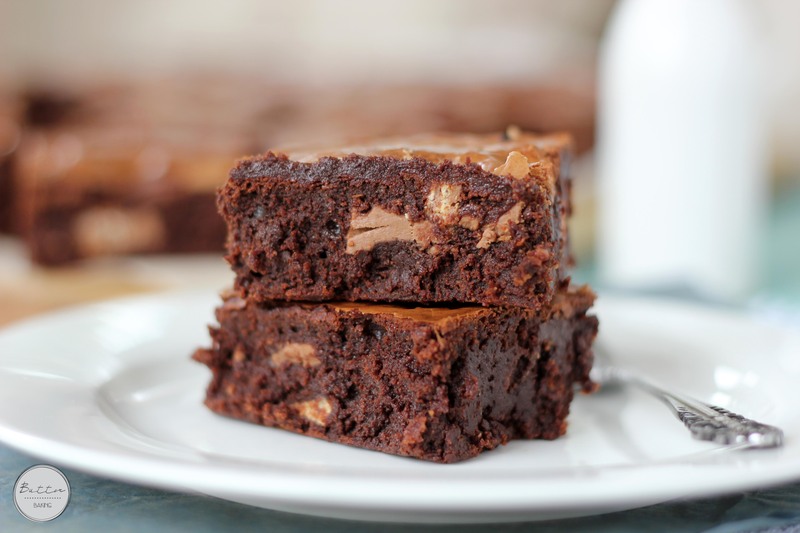 >> Mmmmmm, Kit Kat Chunk Brownies … get the recipe at Butter Baking. 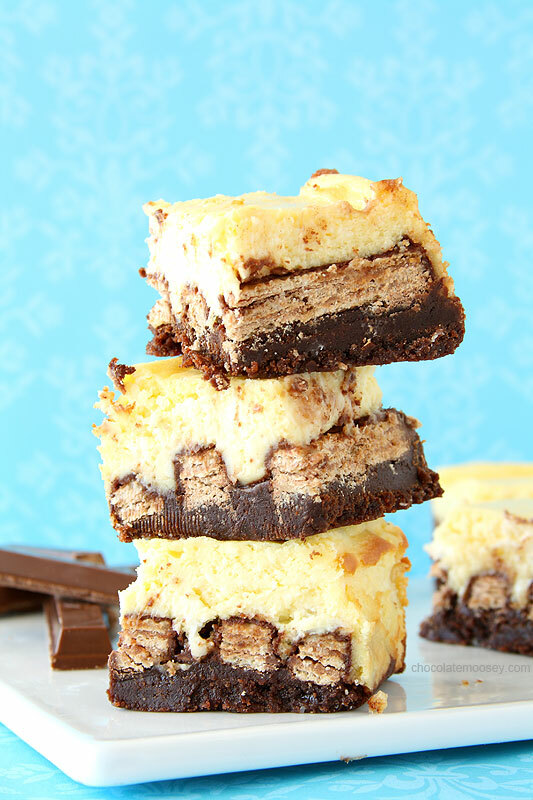 >> Or really knock things out of the calorie park with Kit Kat Cheesecake Brownies from Chocolate Moosey. 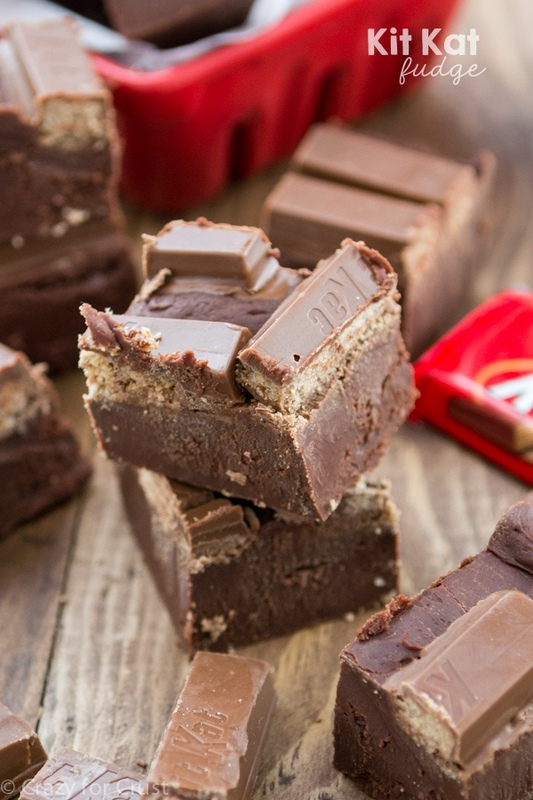 >> How about some Kit Kat Fudge? Crazy For Crust has a four-ingredient recipe. Click here to get it. 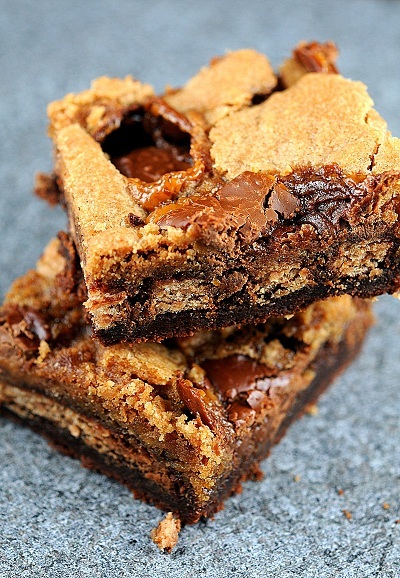 >> Or how about Kit Kat Brownie-Sugar Cookie Layer Bars from Culinary Concoctions By Peabody. 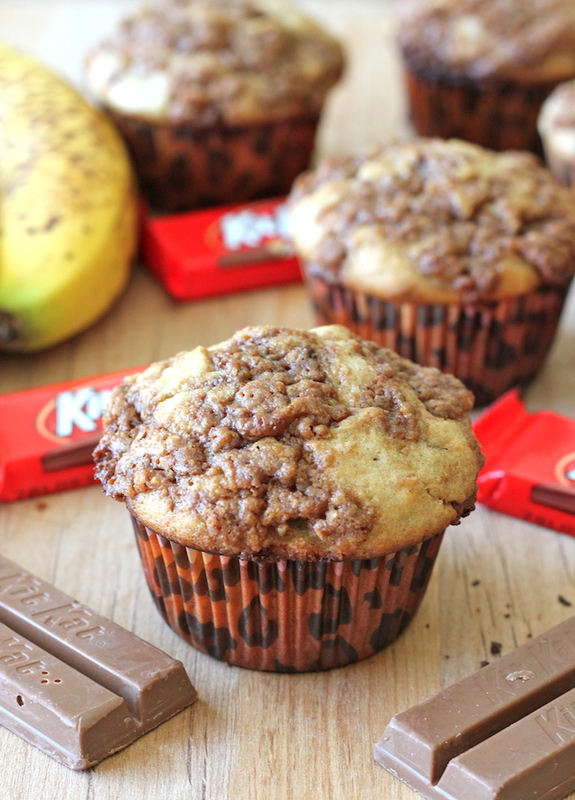 >> I looooove banana bread … I loooooove Kit Kats … and these Banana Bread Kit Kat Muffins by Damn Delicious put the two together! 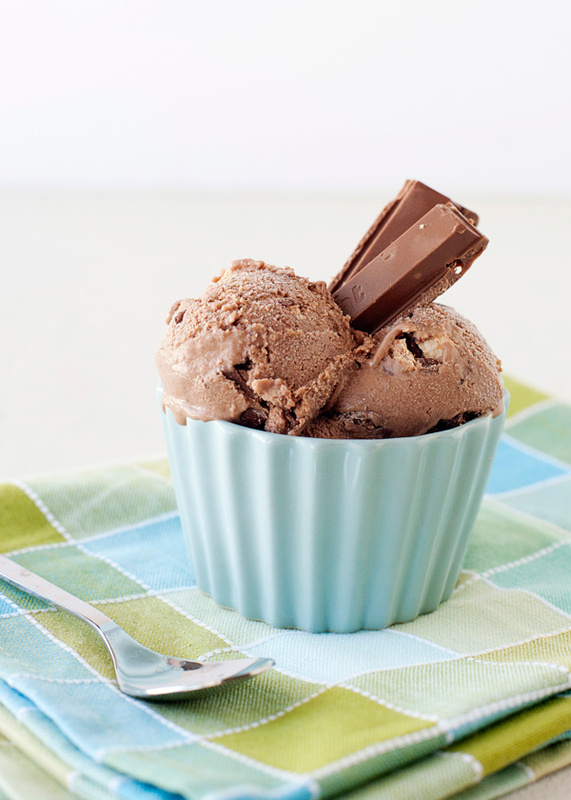 >> Kit Kat Ice Cream! Baked Bree you are a genius! 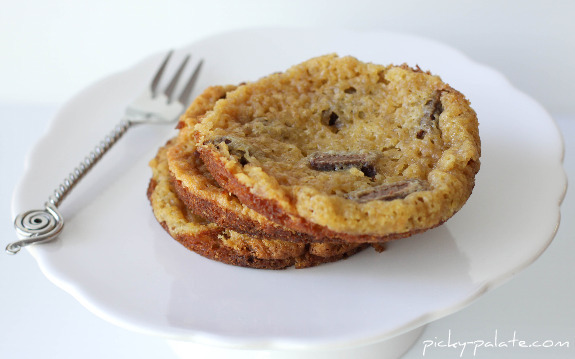 >> These White Chocolate Kit Kat Blondies look totally yum. Get the recipe at Picky Palate. 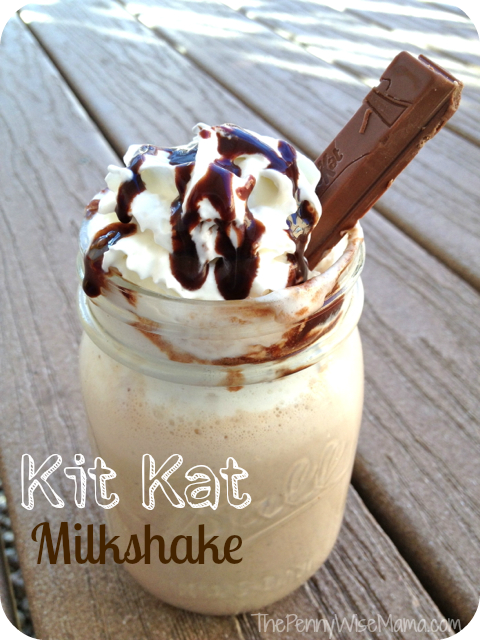 >> How about a Kit Kat Milkshake? Oooooh yeah, now you’re talking The Penny Wise Mama. 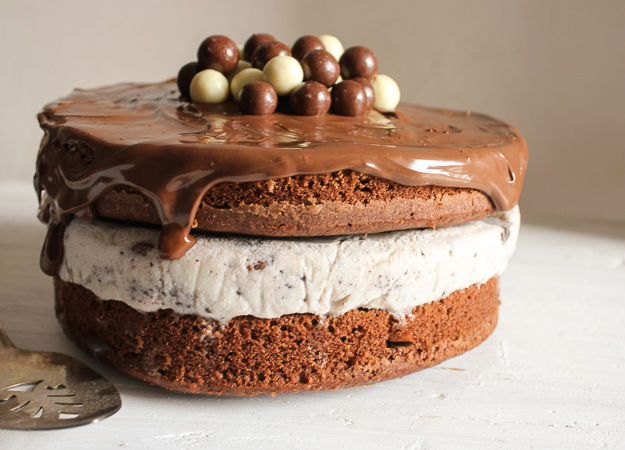 >> You might need to go on a week-long fast after scoffing a Nutella Kit Kat Oreo Ice Cream Cake. Recipe at An Italian In My Kitchen. 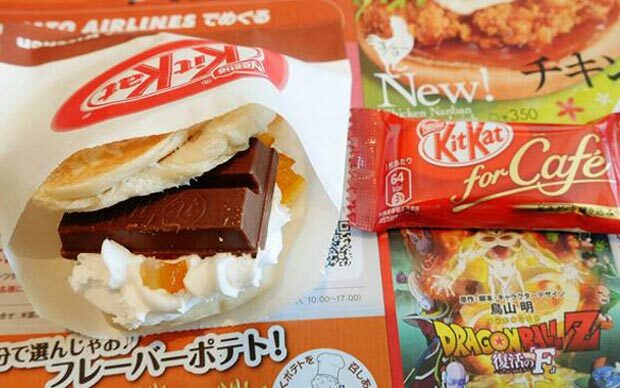 >> First Kitchen, a fast food franchise in Japan, are selling KitKats covered in whipped cream and orange peel sandwiched between two slices of white bread. Ewwwwwwww. >> But way, way, way worse is the Kit Kat Pizza. Another Japanese invention, it’s available for delivery from pizza chains Strawberry Cones and Napoli no Kama. 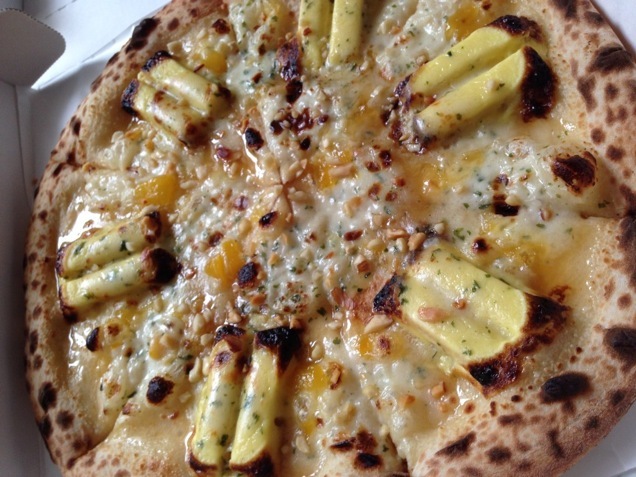 Making it slightly more palatable is that they are “desert pizzas” with mango and baked Kit Kats on pizza dough. Still, ralph. This entry was posted in RECIPES and tagged Kit Kat. Bookmark the permalink. Sorry. It worked a bit too well. Take it down if it’s ruining your post. I agree, biscuit and dough is a no-go! Glad you’re almost 100% better. Sounded like a bad one. Those coughs that drag on are so draining.